HaitiRozo: Haiti: A 7.0 Earthquake Hit the Western Part of Haiti. Haiti: A 7.0 Earthquake Hit the Western Part of Haiti. Early this morning, I spoke to some of my friends in Haiti and had a very wonderful conversation with them. A couple of hours later, my friend Guerline, who lives in Montreal, sent me a text message about the earthquake that hit Haiti. My beloved country was hit by a 7.3 magnitude earthquake. Expects reported on CNN that it was the worst ever recorded in this region of the Caribbean. I know my country, and I know Carrefour and its surrounding areas. The way that most of houses in Haiti are build is contrary to any safety norm or standard. A major earthquake like this will devastate people’s lives, and make them more vulnerable than ever before. The political instability that has ravaged the country for years will make things worst. What happened in Haiti some fives hours ago is truly catastrophic. Even the President’s office and government buildings under construction received major damage. The President and is wife is safe, but no one knows where they are. The secretary of the president was in the street when the Earthquake struck. 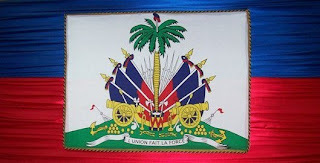 By chance, Haiti’s Ambassador in the United State, Raymond Joseph, reached him by telephone and told him that he had no contact with the president. Joseph, who served as Haiti’s Ambassador since the de facto government of 2004-2006, is now appealing to the world for help. Must we wait until people die suddenly by thousands before we notice them – and even then not for very long? Why can we not make Haitians less vulnerable to every natural disaster that hits their region? I hope these questions will be heard, and understood by the government and the international community. Hopefully, this time will be different. Let build Haiti back better with common sense, and for benefit of all Haitians. Wadner, I am so sad about this loss...but, also have the same questions you have. Our prayers are with our brothers & sisters in Haiti now but, also we have hope for fundamental change, not simply disaster relief.